I think I should say here that I am writing this post as editor of Prim Perfect and not as one of the team that organised the SL9B Community Event. The others will, I hope, add their comments to this post if they think it necessary. This disclaimer comes because of something a little odd that has happened. 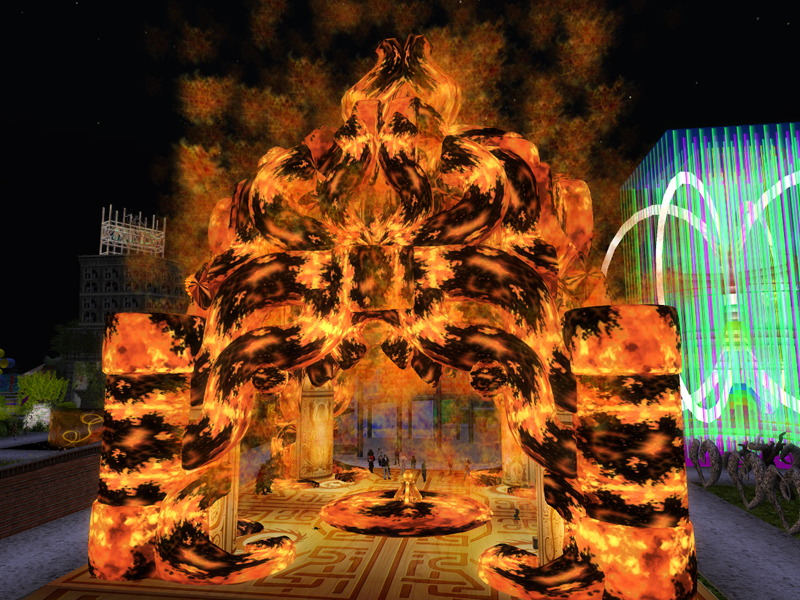 Linden Lab have launched a survey into SL9B. You should all go and do it, by the way. 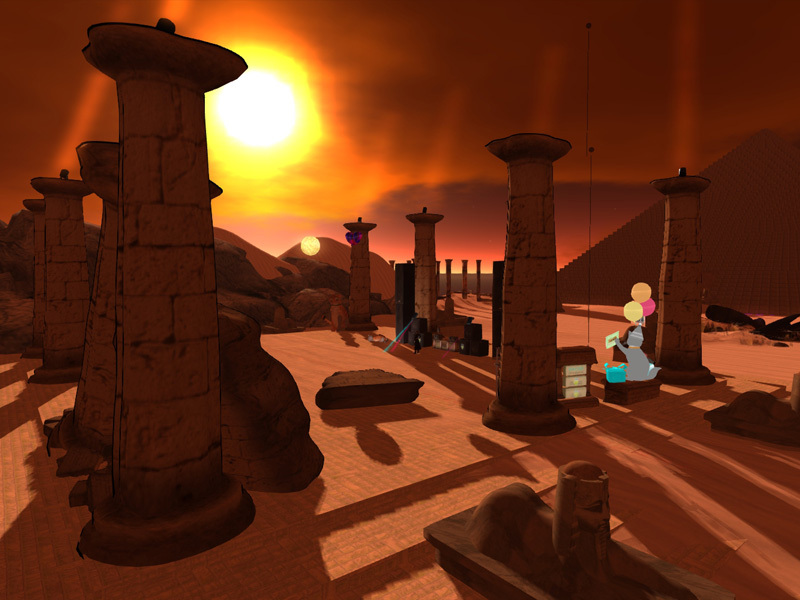 You’ll find it here – and you’ll need to be logged in to Second Life to complete it. But also please fill out the official SL9B Community Event feedback – that’s the one that the team behind the 20-sim Community Event will be using to help shape next year’s experience – and people have already given us some amazingly good feedback and excellent ideas on ways in which we can improved the experience – for both of these, much thanks!). So, why did I post a disclaimer at the top of the post? Well, I find this survey a little odd. 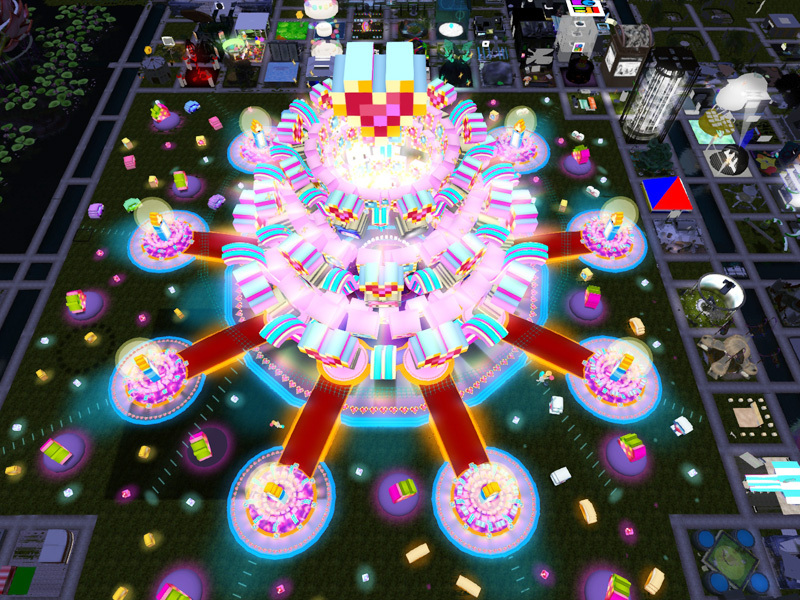 When Linden Lab decided this year not to support the Birthday Event with the usual sims and Lab support, but instead to leave everything up to the community, they were talking about distributed events around the grid. I was not alone in finding their approach a little cynical – they spoke of the theme of community, and then seemed to remove the opportunity for communities to come together – certainly on Linden controlled land. Their contribution was to be through the Destination Guide, as they made clear in that post – and also, possibly (but no guarantees here) through various other social media. So we had the large 20-sim SL9B Community Event, thanks to the residents and the sponsors, and we are now gathering feedback on it. And it seems fair enough that the Lab are also interested in finding out how their plans worked out too – the destination guide, their advertising on social media. Their survey seems to be more interested in finding out about our event – as though we were an official, Linden Lab-backed event. And, to be honest, I find that a bit cheeky. Let’s look at the questions. First of all, you are asked to rate, on a scale of 1 – 10, your experience at SL9B. 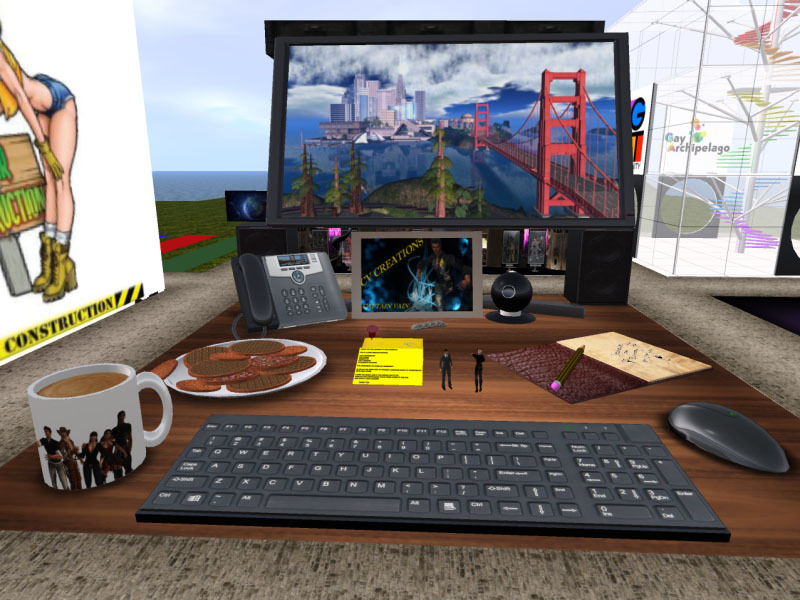 The use of the word “at” rather than the word “of” suggests that one clear and definite destination is being targeted – several people have commented on this in the My Second Life thread. The second question – Was SL9B a better event overall than last year’s SL8B? – again seems to be targeting a single,unified event – rather than distributed events advertised in the Destination Guide. And this continues in successive questions: Did you invite friends to come to SL9B with you? 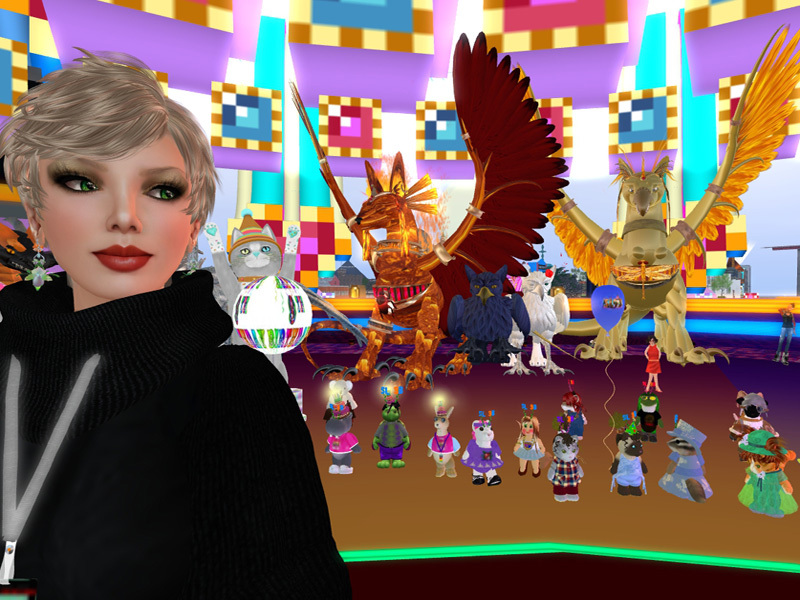 Would you invite your Second Life friends to future SL birthday events? Unfortunately, the latter question was posed as a Yes/No – the option “Yes, as long as it was resident-organised like this year” was not available. In other words, the questions don’t focus on how useful the Destination Guide was in ferrying residents around the grid. The survey doesn’t seem to want to consider whether the distributed model worked for people. Snails visiting SL9B by pod car! I’m not sure what the Lab are hoping to see from this. If there is a huge popular enthusiasm for the Community Event, are they planning to jump back in for SL10B? That train may already have left the station – free land is lovely, but the freedom to run the birthday as we want is pleasant too and, having created a precedent with our awesome sponsors this year (Dream Seeker Estates, Fruit Islands and KittyCatS – as well as the anonymous donor), it may well be that getting sponsorship for next year’s event will not be problematic. As well as commercial sim sponsorship, there could be Kickstarter project funding that would allow people who couldn’t afford to donate a whole sim a chance to kick in say, $25 for the Birthday. Is the problem really one of communication? That seemed to be the case when the Lab approached the Linden Endowment for the Arts to offer them twelve sims to host the Birthday Party. It was patently clear to residents who have been involved in community events (SLxB, Burn2, RFL etc) that the LEA was not the forum to become the curators for community events – as the pressure on the LEA to do so started to become an implosion, that became obvious to the Lab too. But having exhausted that channel, it seemed the Lab had no idea who they could possibly approach instead and threw up their hands – a total disconnect. Perhaps as well; the only other communities they seem to have strong connections with now are the sailors of the Blake Sea and the Hockey Association – which could have led to a rather interesting take on the Birthday event. A problem for the Lab must be that it is so hard to gauge the quality of the people they could be working with. The team behind the SL9B Community Event was golden, and pulled off an awesome event, drawing people and communities in from across the grid, and generating an amazingly positive, enthusiastic and uplifting response. 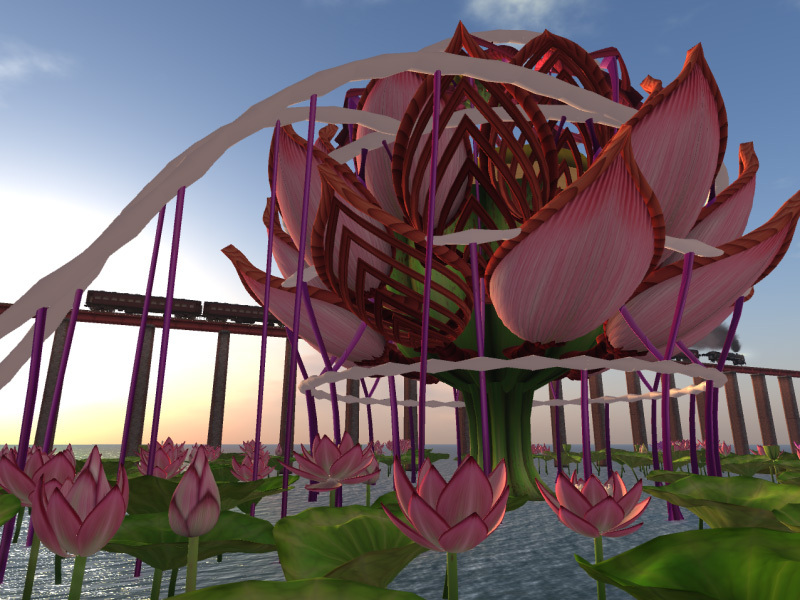 But although several run successful Second Life businesses, none of the core team were major landowners; they may not have offered the Lab the re-assurance that these were people with deep pockets and prepared to open them for the Lab. When people live fluid virtual lives and their core involvement is their ability to engage other people or to organise events, it can be hard for a corporate organisation like the Lab to identify their strategic importance and engage with them on a practical level. While the Lab has no shortage of people asking and/or instructing them (with various levels of urgency and plausibility) to work with them, identifying those who will pull off a week-long, twenty sim event consisting of exhibits, musical events, talks and training sessions that engages the wider community is a very hard task, unless the Lab has team members who are deeply engaged with the residents. Those ties have been largely severed. And, to be candid, I’m not unhappy with that. I’m delighted that the Lab will be focusing on making my experience shiny; I know that residents can – and will – organise fantastic events when they want to. What I would like to see is greater engagement with the people who are organising such events – and who have a track record of such events. 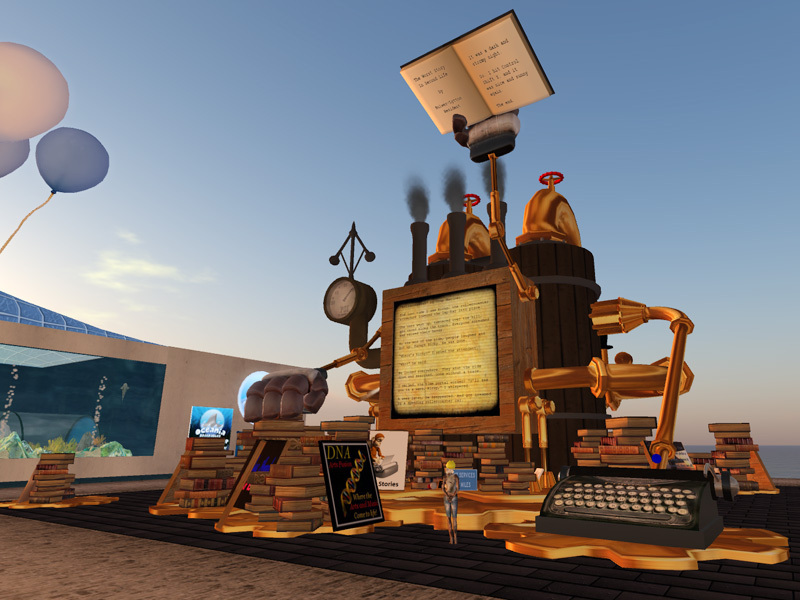 For the SL9B Community Event we – in common with other SL9B events – had the promised support from the Lab with the Destination Guide, which was great. But it would have been great to have more support in getting the word out to residents through the Lab – it would have been possible, I think, to do that in a way that wasn’t an endorsement, but that suggested the possibilities of exhibiting/performing. And I believe it could also have been used to generate positive external publicity for the Lab. My assumption is that the Lab is asking about how people feel about their SL9B Destination Guide strategy, but they’re so bloody unskilled and incompetent with communications and basic grammar, the survey and announcements got worded like they’re asking about the Team Doc resident-run SL9B. Because if they’re asking about how Team Doc ran their 20-sim SL9B event that’s just damn rude of them, and some Marketing ho at Battery Street deserves a pimpslap to the mouth for such cheek. I was pretty disappointed when LL turned down the LEA’s offer to help form a Community Events committee, similar to LEA – which would have likely been comprised of ‘Team Doc’, who were on standby in the wings. If they truly want to remove themselves from actively organizing the community aspect, they still need to support these activities in a more passive way. So if they are smart, they will cultivate more resident-led groups to make this happen. When will LL realise that this is the POSITIVE PR they need? I wasn’t able to attend any SL9B events (nor was I all that interested in doing so), but I took the opportunity of filling out LL’s survey. The last screen allows a free-form answer, where I told them that if they aren’t creating an event they need to just keep their noses out of it. I think some people at LL were surprised to learn that we don’t want a bunch of parties, we want the chance to rub shoulders with other communities and have an amazing showcase to explore. What I’d like to see the Lab do next year is be a sponsor (not the sponsor.) How about throwing in a handful of regions, or agree to match the number of donated ones next year? Well The snail races enjoyed the extra traffic the guide got us. Was triple our usual weekly traffic. But yes that’s pretty cheeky wording it like they wanted to know how the event went even though they asked to be left out of it.